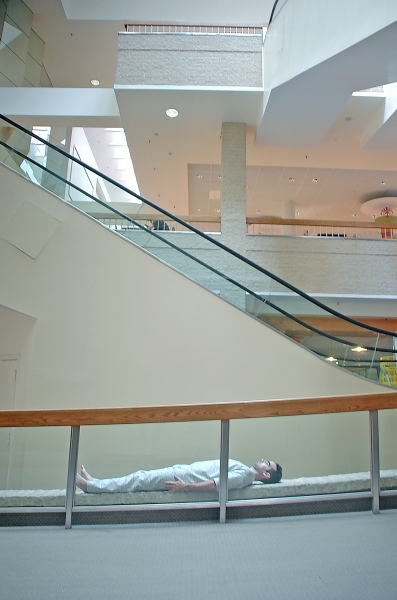 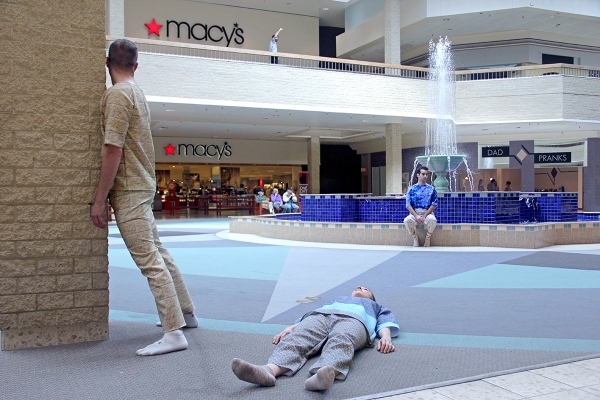 As part of the Sensory3 project at the Century III Mall, I designed and fabricated three two-piece garments that reference specific textures found throughout the mall. 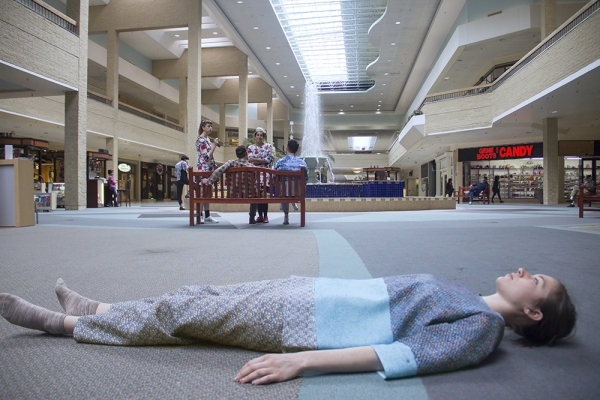 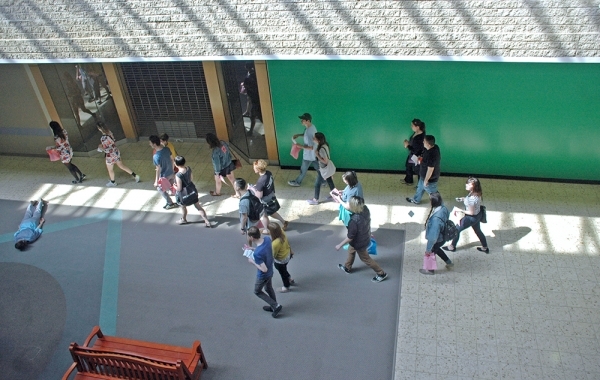 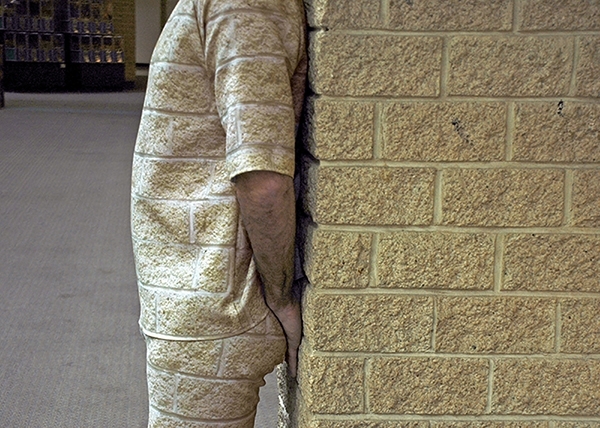 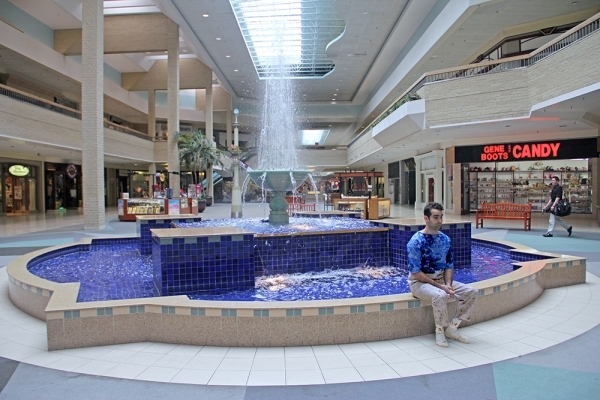 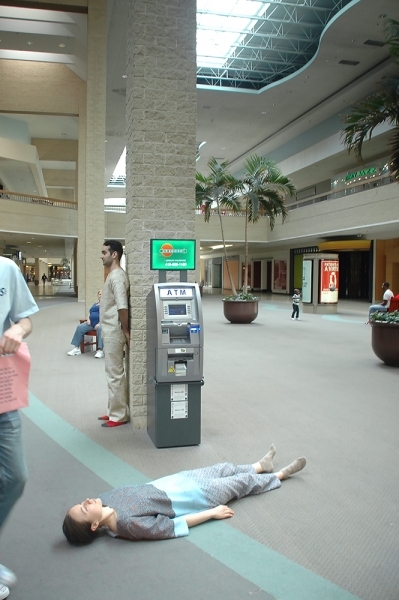 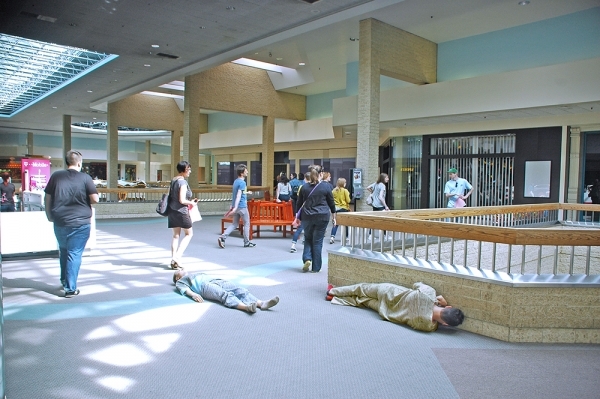 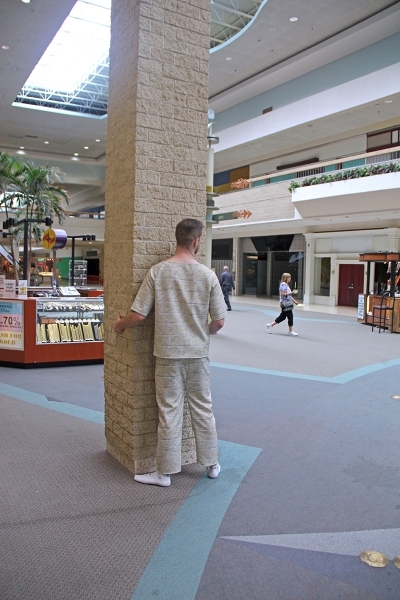 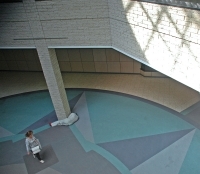 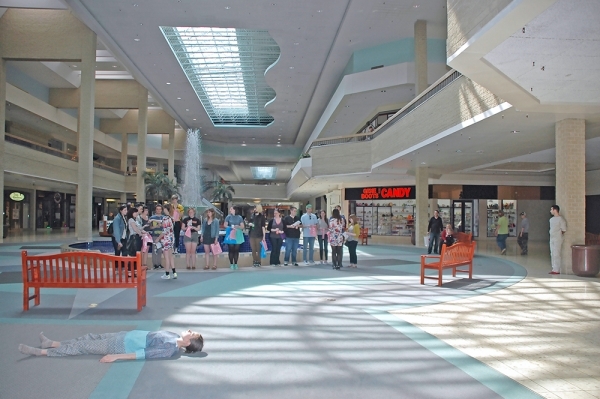 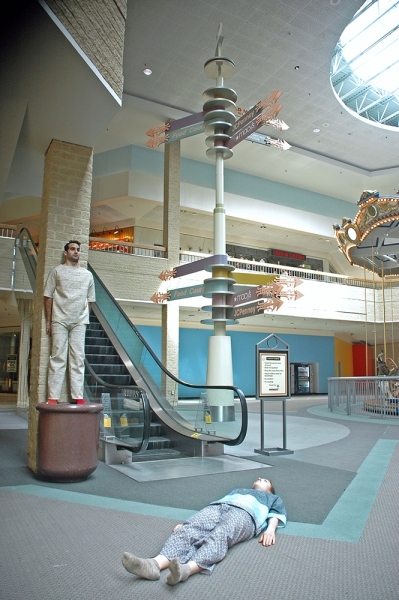 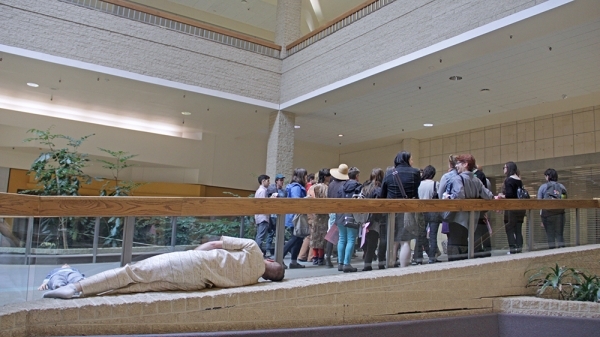 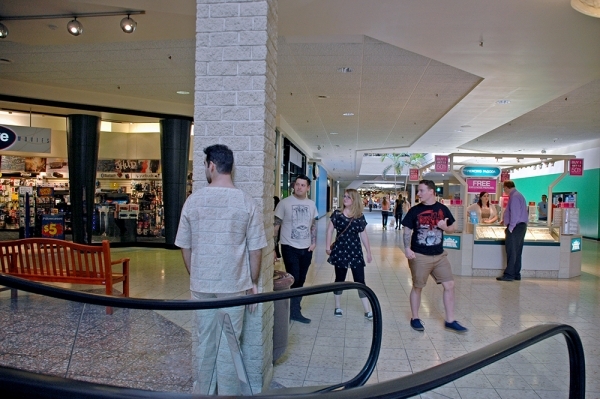 Mall Camo was worn by performers during architectural tours of the Century III Mall, serving to highlight repetitive patterns found throughout its three-level structure, built in 1979 and remodeled in 1997. 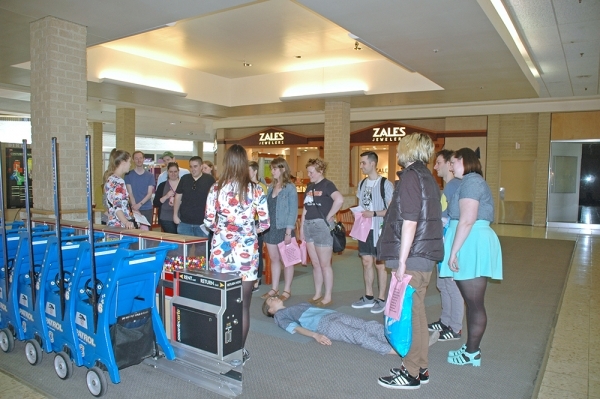 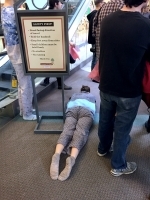 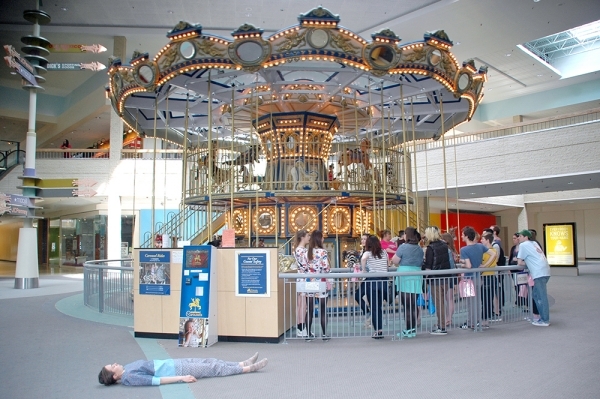 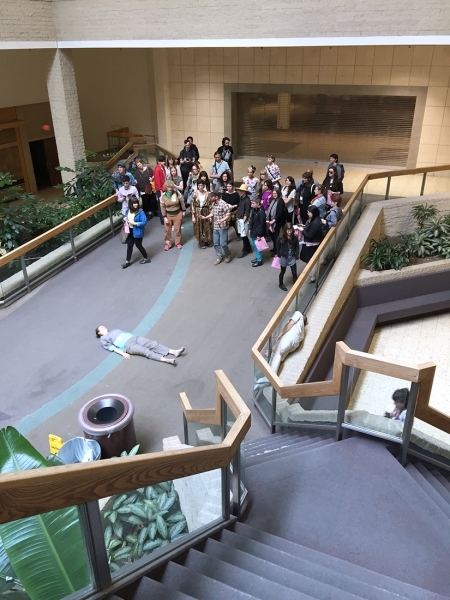 The tours were provided by Sensory3 / Dadpranks as part of Open Engagement 2015 Pittsburgh.